Grab a glass of mulled wine and a piping bag and unleash your creativity!! All equipment and ingredients are included. 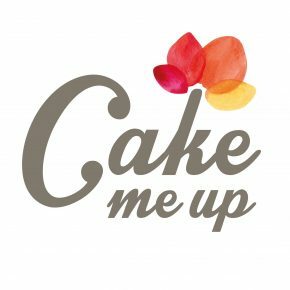 The cupcakes and buttercream will be made for you in advance, with a recipe for you to take home so you can make them again and again. Your first drink is included. At the event you will learn the following. Types of buttercream and how to colour it. How to correctly fill a piping bag and the best techniques to get professional looking results. Types of piping tips and the effects they create. How to use more than one colour in a piping bag. 3 piping techniques to create 3 types of flower. Ponsettia, rose and a pine cone and berries. Tickets are on a first come first served basis and spaces are limited, please book early to avoid disappointment. 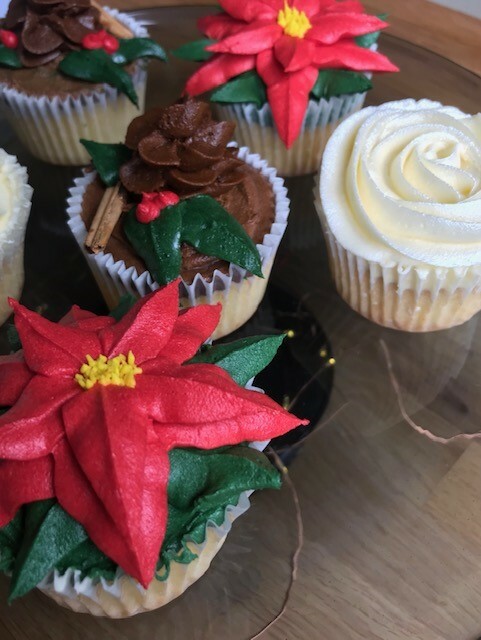 At the end of the class there will be the opportunity to buy the piping tips and flavoured icing sugars used, so you can create them again and again. You will be amazed what you can create! As the event is held in a public house, the age restriction is from 18 years old. If the event needs to be cancelled for reasons of logistics, sickness or low bookings, we aim to cancel with more then 48 hours, or two working days, notice. You will be entitled to either a transfer of your tickets or a full refund. Your Tickets – Guests are welcome to transfer their tickets between 72-48 hours notice. With less than 48 hours notice, we cannot issue a refund or ticket transfer.